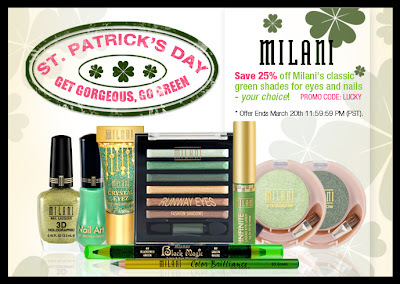 This St. Patrick’s Day, Milani Cosmetics is offering 25% off their classic green shades for eyes and nails! 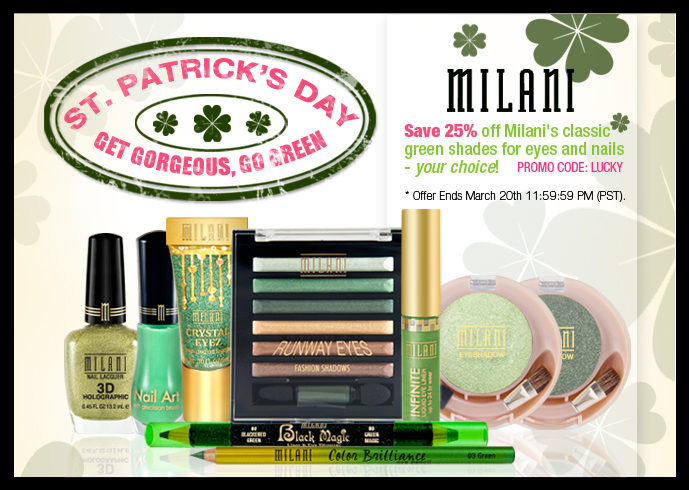 This is the deal that will have everyone green with envy! 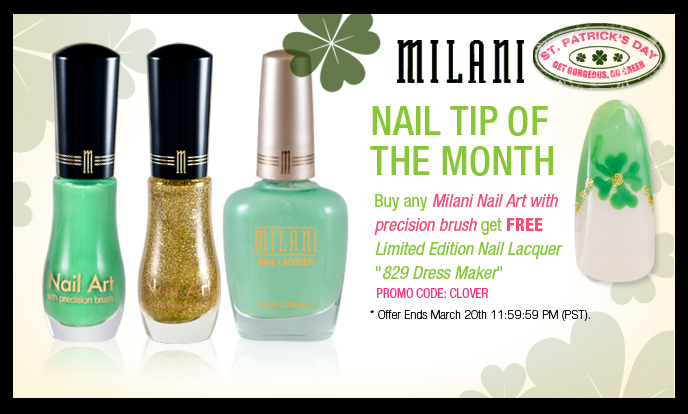 Also, check out Milani Cosmetics DIY nail tip of the month to achieve sassy shamrock nails without breaking the budget at the salon! 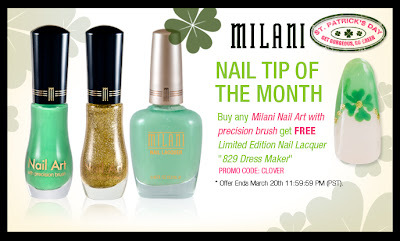 *Discount will be applied at checkout after entering promotional code. 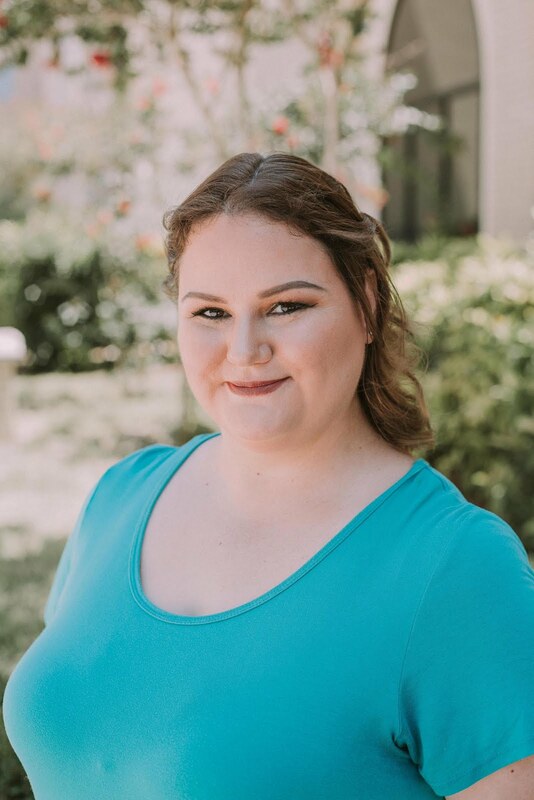 China Glaze OMG For Sale!